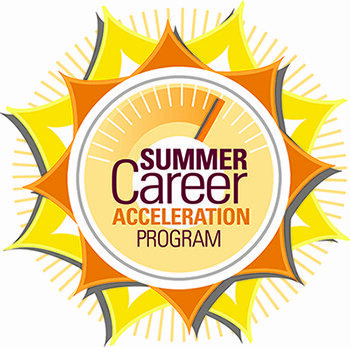 The Summer Career Acceleration Program aims to ensure that rising seniors graduate prepared to enter the workforce with real-world job experience and an industry certification gained through a summer internship and technical certification training program. This exciting new program can make an enormous impact on these students’ futures, who typically have to work during the school year and then go right into the job market after graduation without optimum training. The Summer Career Acceleration Program prepares students for the workforce through a combination of a summer internship and an industry certification. By the end of the program, participating students will be equipped with work-ready skills and a technical certification that will bolster job opportunities and provide them with a chance for greater long-term success. Summer Industry Certification Coursework facilitated by Pinellas County teachers for 15-20 hours each week. Students will focus on one of six industry certification areas: Adobe Illustrator, Adobe InDesign, Adobe Photoshop, Health EKG Tech, ServSafe or Certified Internet Business Associate. Students will receive blended instruction (face to face with online support) to prepare students to take and pass the corresponding industry certification test in August 2019 or during the 2019-20 school year. Summer Employment through a partnership with Pinellas Education Foundation and local employers. Since most of the target population needs to work throughout the summer, this project seeks to match employment opportunities with the summer industry certification experience. Each program is dependent upon the other. Students would have availability to summer employment if they committed to the industry certification coursework and vice versa. Workforce Coordination and oversight of the student employment opportunities would be performed through the summer by staff of the Pinellas County Schools. A typical week would include 20 hours of work for students and 12 hours of face to face classroom instruction with 3 hours of virtual/blended follow-up each week. The face to face sessions would be scheduled around the needs of employers. School Year Follow Up will occur with students so that they complete industry certifications that began during the summer. This will occur by the school based assistant principal for curriculum, and district CTE staff. If you have questions regarding the program, please contact Donna Burns by email at Donna.Burns@pinellaseducation.org.